This is the Certificate of Marriage for Johnny Robert Wilson and Bonnie Harriet Skjelver dated October 3, 1942. 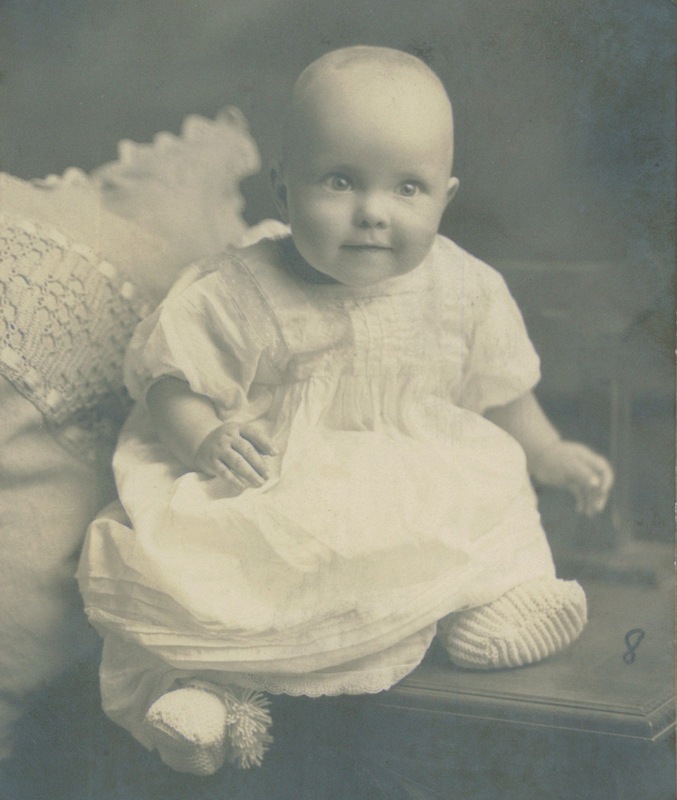 Bonnie Harriet Wilson (Skjelver), the daughter of Otto and Elsie Skjelver (Lambrecht) was born May 31, 1921, on her parents’ farm north of Inavale, Nebraska in Webster County. 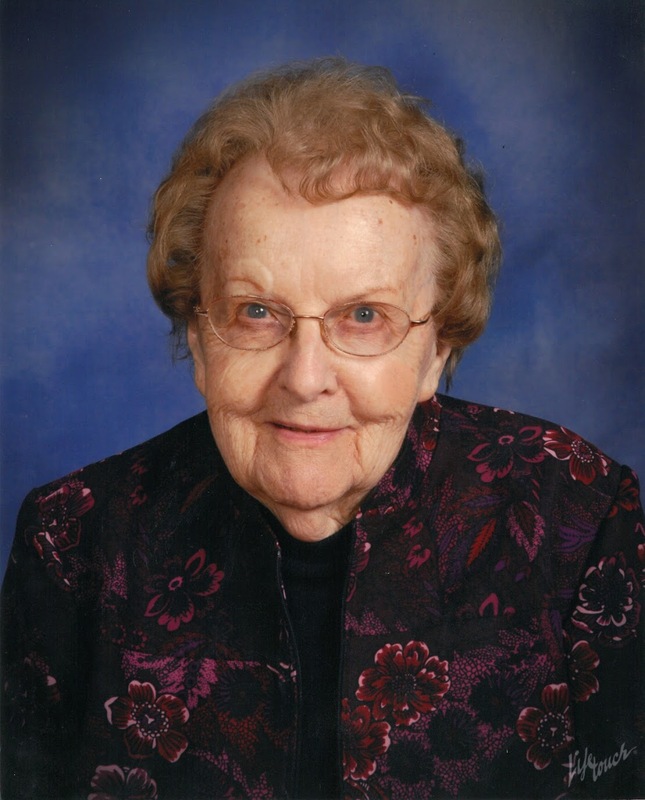 She departed this life October 3, 2018, at the Colonial Villa Nursing Home in Alma Nebraska, at the age of 97 years, 4 months, and 2 days. 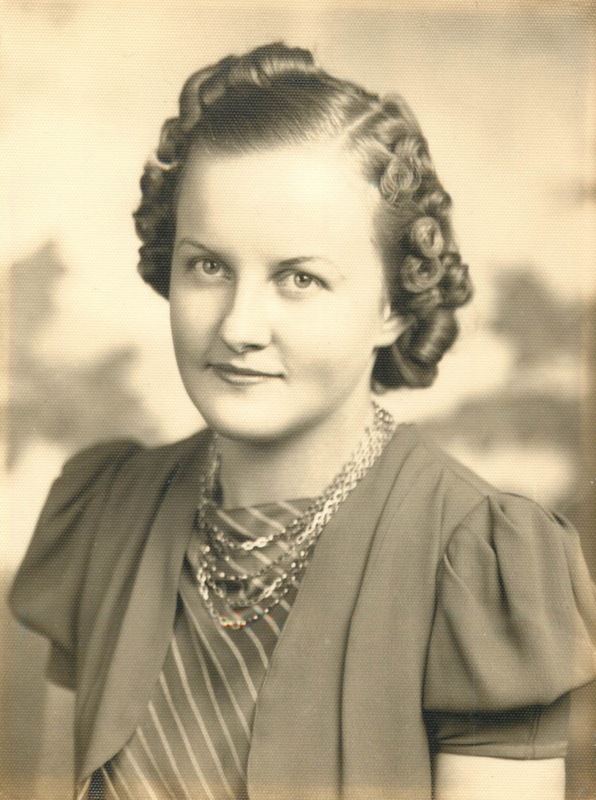 As a young girl, she attended the New Virginia county school, and then graduated from Red Cloud High School in 1940. While attending school Bonnie and her sisters lived in an apartment in Red Cloud during the week and would spend the weekends back on the family farm. She continued her education to receive her teaching certificate and taught for several years at North Star and Harmony County Schools. She told stories of building fires to keep warm and also hauling water into the schools. 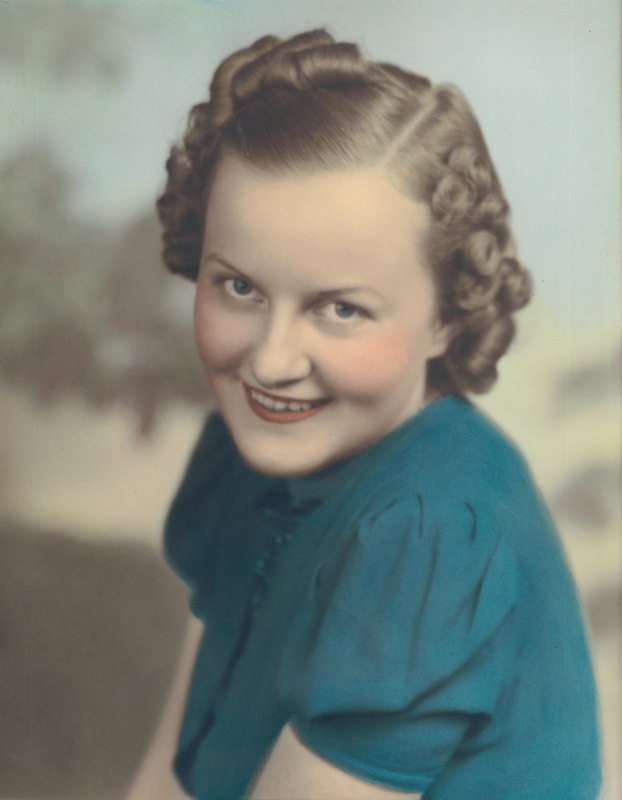 On October 3, 1942, she was united in marriage with Johnny Robert Wilson in Smith Center, Kansas. To this union, they were blessed with three children, Teresa Ann, Robert Leroy, and Jayne Jo. 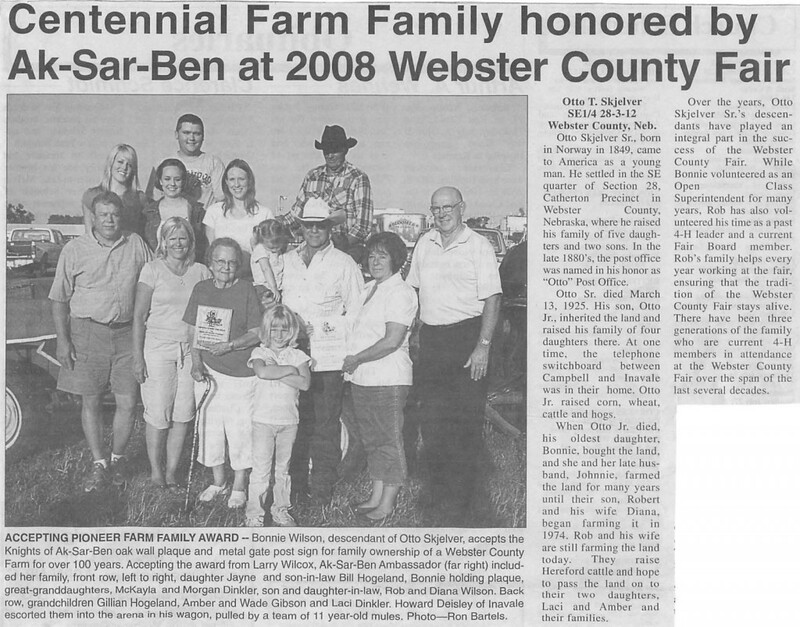 Bonnie was a very active farm wife and enjoyed helping out on the family farm and ranch. 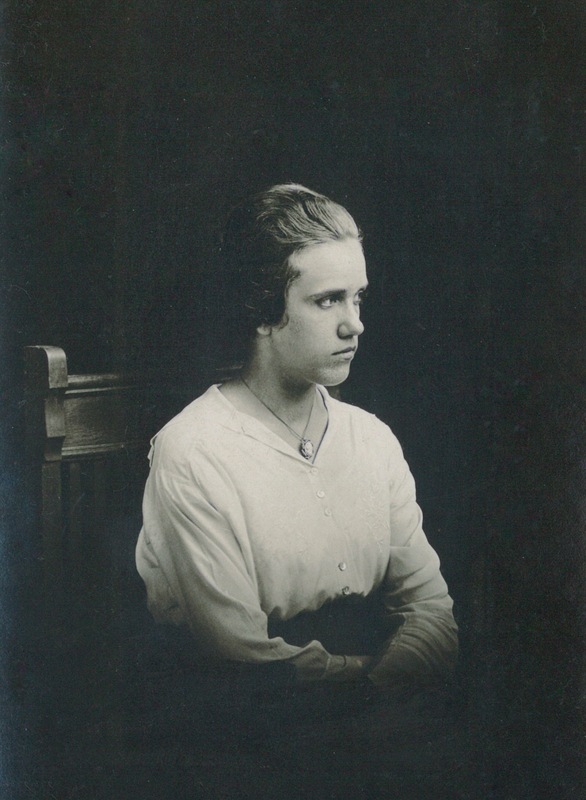 She would prepare and serve meals to all the farmhands and family always with a freshly baked dessert. On Wednesday afternoon you could find her working on a quilt with the ladies in the church basement. And in the evenings Johnny and Bonnie enjoyed playing cards with their many neighbors and friends. Bonnie was active in the UMW Church group, Ladies Aid and the Ladies Extension Club. She was also a 4H leader for many years and helped with many 4H projects for her kids and grandkids. She was preceded in death by her husband Johnny; a daughter Teresa Wilson; her parents; and a sister Eloise Sanford. Left to cherish her memory are her son Robert Wilson and his wife Diana, her daughter Jayne Hogeland and her husband William; 5 grandchildren, Laci Dinkler and husband Scott, Amber Gibson and husband Wade, Geoffrey Hogeland and wife Kelli, Grant Hogeland and wife Tiffany, and Gillian Hogeland; 11 great-grandchildren, Makayla, Morgan, Jacob and Janaya Dinkler, Lee and John Gibson, Ian, Iaasc, Emerson, and Elliett Hogeland, and Everly Hogeland; sisters Doris Padovan and Ila Young, and a host of nieces, nephews, family members and friends. Funeral services will be held at 10:30 am, Monday, October 8th, 2018 at the United Methodist Church in Bladen. Interment will be in the New Virginia Cemetery. Memorials are suggested to the New Virginia Cemetery. To organize a community cemetery, the families in the area met at the New Virginia school house on the 23rd of April 1887. The Otto Cemetery Association was organized, with Richard T. Payne elected as president. It was located in the northwest corner of section 34 and was called “Otto” cemetery, after the first name of Otto Skjelver. Following the land dispute the cemetery was called the “Payne” cemetery. On May 4, 1925, the name was officially changed to “New Virginia” cemetery. The two Skjelver brothers, Hans and Otto, filed on homesteads, Hans on May 18, 1873 and Otto in the fall of 1876. 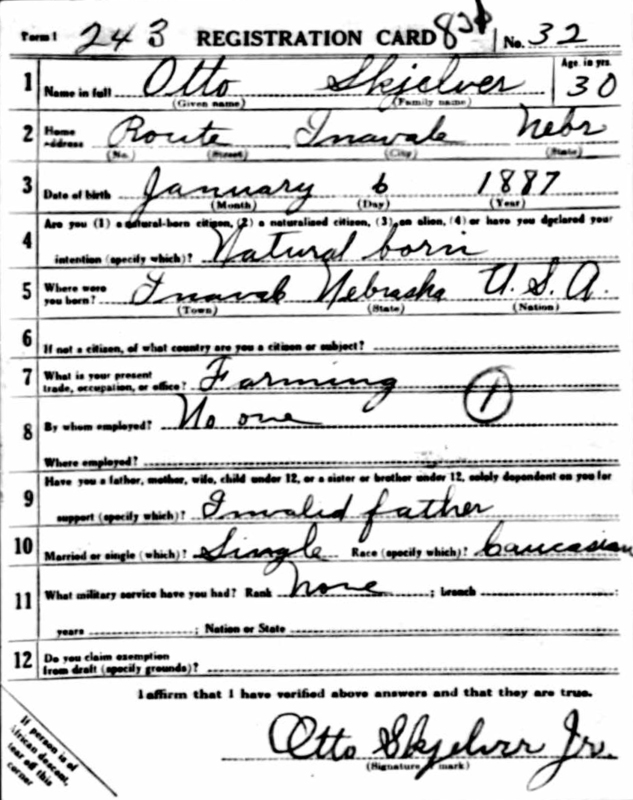 Both brothers worked in the lumber camps of Wisconsin before coming to Webster County. Otto came to America in 1869 and Hans came in 1871; however, it was Hans Skjelver who first decided to join a group of Norwegians in Webster County. 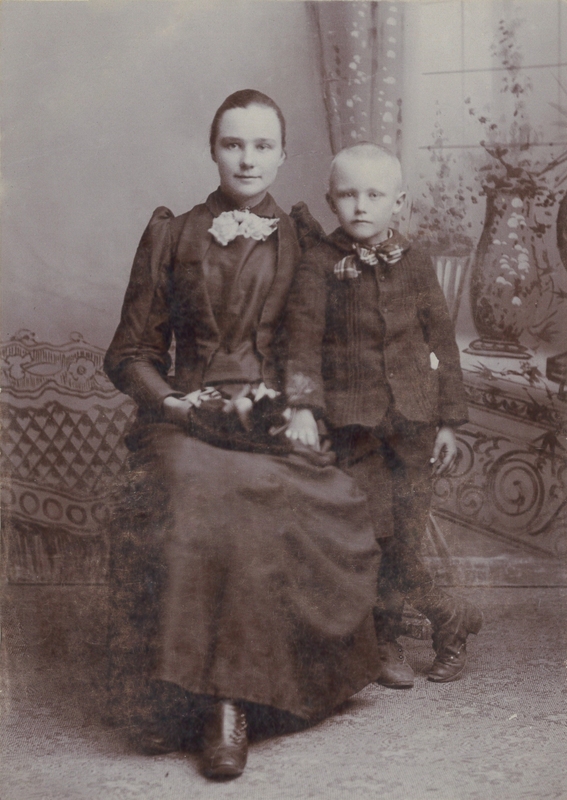 Both men helped to establish the Norwegian Zion Lutheran church and a religious school that was eventually to be District 66, “North Star,” a name selected because of the many Scandinavians within the community. 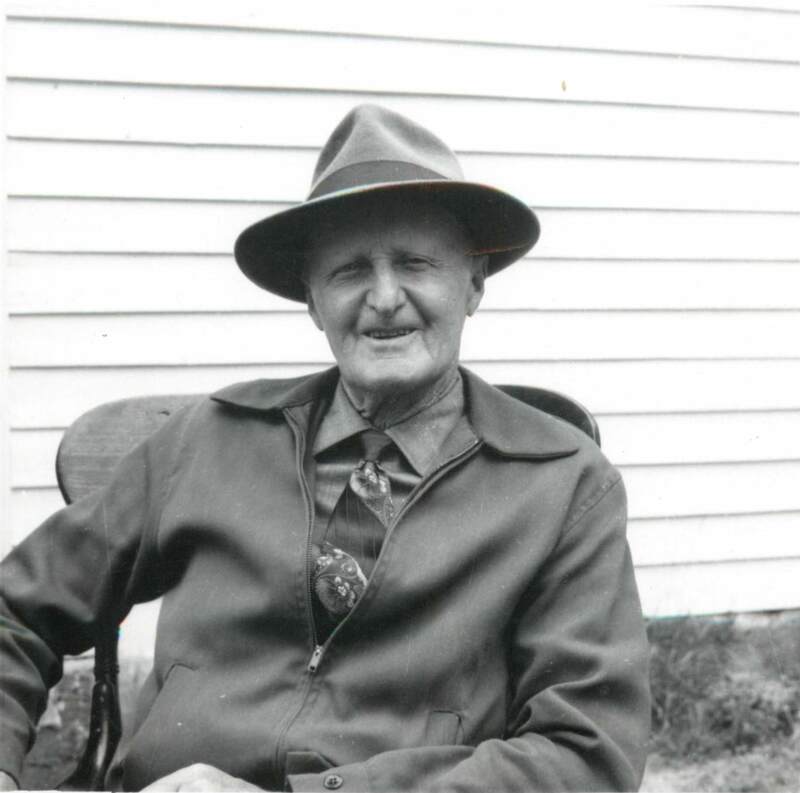 Otto Skjelver was the first teacher of District 66, and the Otto post office was named for him. 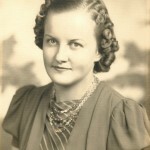 Both brothers were well educated, but Otto, who had a more outgoing personality, became the spokesperson between the Scandinavian and English-American community. He helped interpret American laws, customs and their usage to his fellow countrymen. It is ironic that some of these laws worked against his best interest and deprived him of land that he thought was rightfully his. This citation notes Otto Skjelver filing homestead in the fall of 1876, but Otto filed homestead in December of 1883, as documented here. The last sentence is likely referencing the court battle between Peterson & Skjelver that ultimately ended up in the NE Supreme Court in 1895. 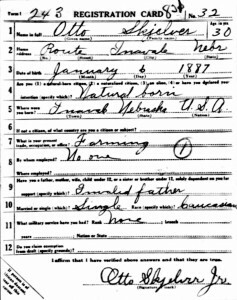 Filed Under: Family History, Skjelver, Wilson Tagged With: Confirmation, Otto Skjelver Jr.
Otto Skjelver Sr., born in Norway in 1849, came to America as a young man. 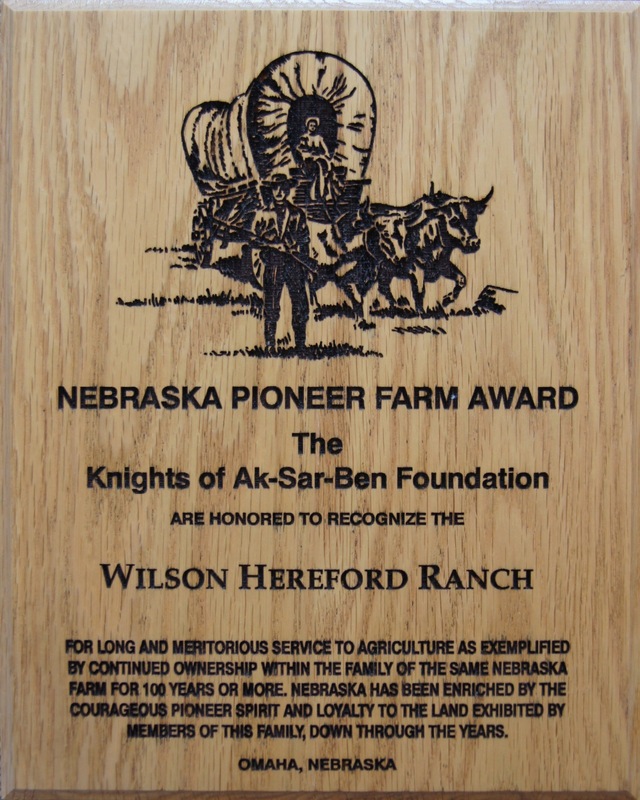 He settled in the SE quarter of Section 28, Catherton Precinct in Webster County, Nebraska, where he raised his family of five daughters and two sons. In the late 1880’s, the post office was named in his honor as “Otto” Post Office. Otto Sr. died March 13, 1925. 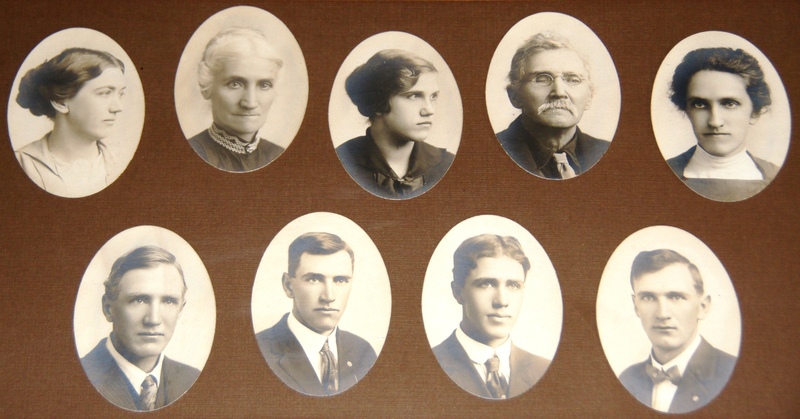 His son, Otto Jr., inherited the land and raised his family of four daughters there. At one time, the telephone switchboard between Campbell and Inavale was in their home. Otto Jr. raised corn, wheat, cattle and hogs. 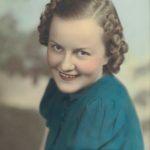 When Otto Jr. died, his oldest daughter, Bonnie, bought the land, and she and her late husband, Johnnie, farmed the land for many years until their son, Robert and his wife Diana, began farming it in 1974. Rob and his wife are still farming the land today. They raise Hereford cattle and hope to pass the land on to their two daughters, Laci and Amber and their families. 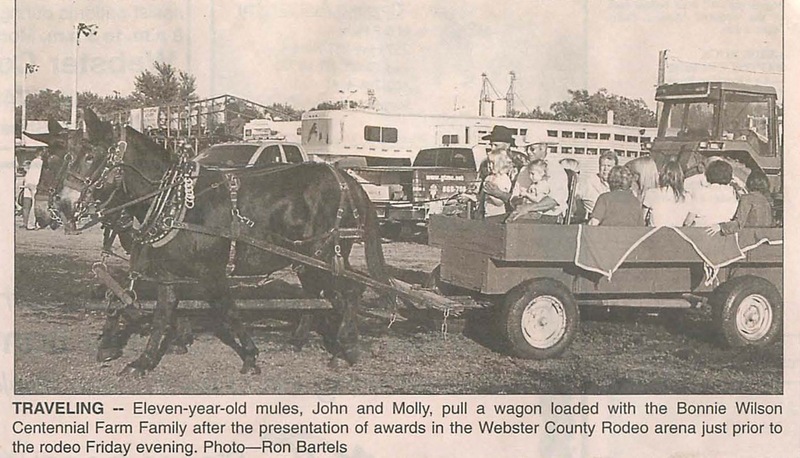 Over the years, Otto Skjelver Sr.’s descendants have played an integral part in the success of the Webster County Fair. While Bonnie volunteered as an Open Class Superintendent for many years, Rob has also volunteered his time as a past 4-H leader and a current Fair Board member. Rob’s family helps every year working at the fair, ensuring that the tradition of the Webster County Fair stays alive. There have been three generations of the family who are current 4-H members in attendance at the Webster County Fair over the span of the last several decades. This photo is of Otto Skjelver, Jr. with his eldest sister, Tilda. 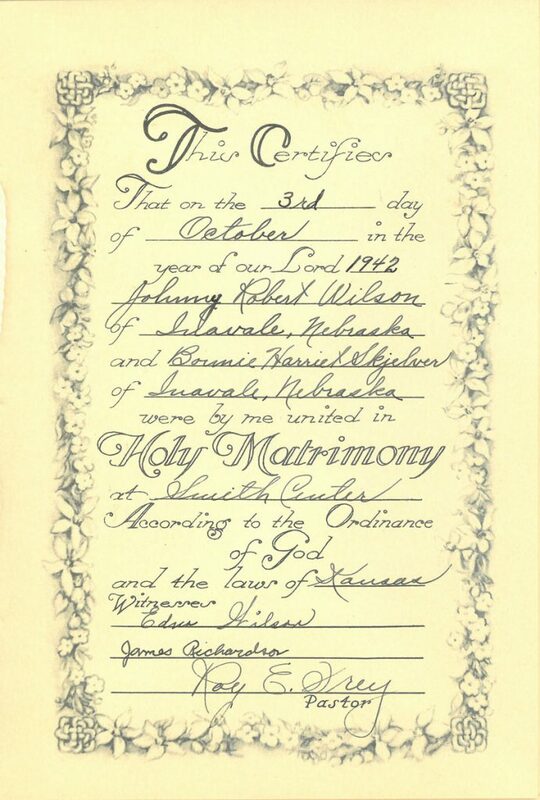 Miss Bonnie Skjelver, daughter of Mr. and Mrs. Otto Skjelver, of Inavale became the bride of Johnny R. Wilson, son of Mr. and Mrs. Con Wilson of Inavale, on Saturday, October 3rd, at 1:00 in the Methodist parsonage at Smith Center, Kansas. Rev. Frey of Smith Center performed the single ring ceremony. The bride was lovely in a dark brown street dress, with matching accessories. The groom had on a dark brown suit. They were attended by Edna Wilson, sister of the groom, and James Richardson, both dressed in blue. Both of these young people are well and favorably known in the county, both being graduates of the Red Cloud high school, the bride with the class of ’40, and the groom with the class of ’36. The bride has taught two successful years of school at District 40 and at present is teaching District 41. The groom has farmed in partnership with his brothers since his graduation and will remain there until he is called for army service. 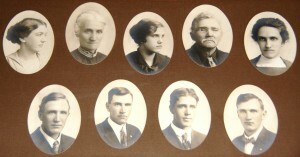 Filed Under: Family History, Skjelver, Wilson Tagged With: Otto Skjelver Jr., Otto Skjelver Sr. 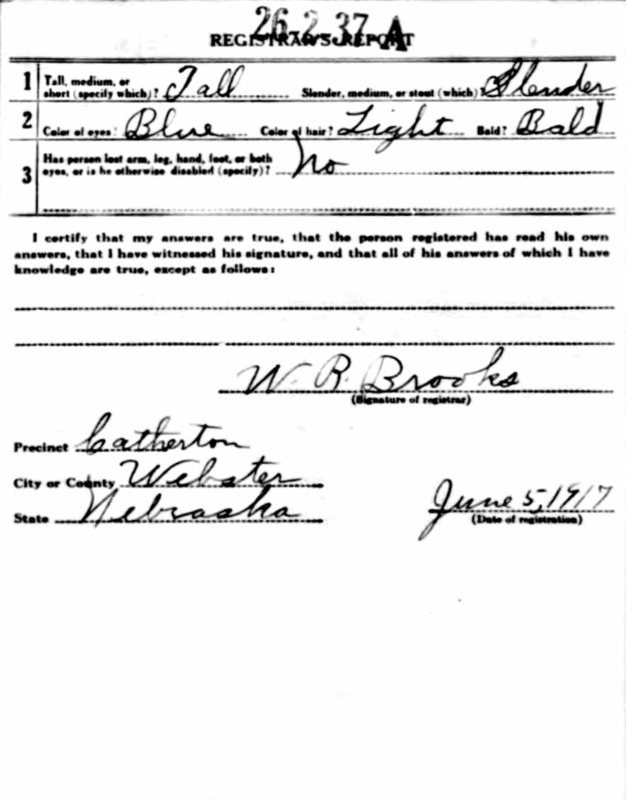 The following pages come from The Northwestern Reporter and outline an 1895 Nebraska Supreme Court case between Otto Skjelver, Sr. and Charles G. Peterson. 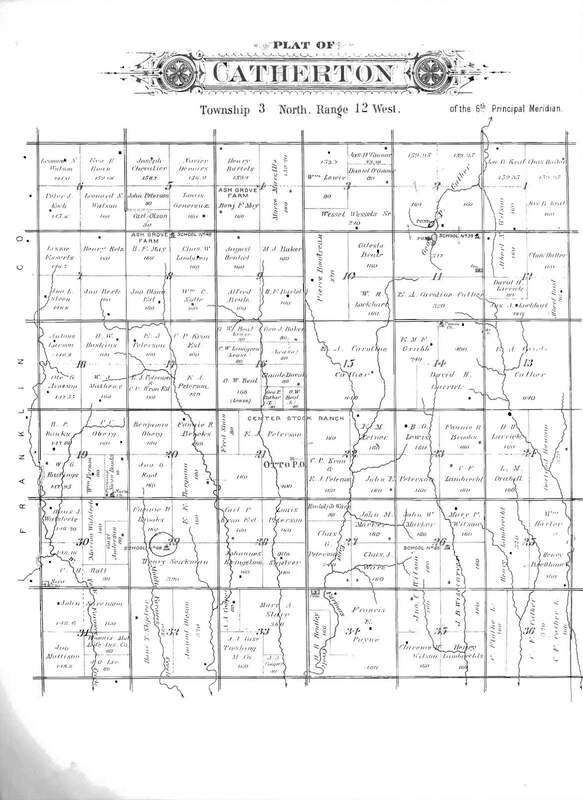 The case is in regards to a boundary dispute on the eastern side of the SE1/4 of Section 28, which is the quarter that Otto homesteaded in 1883. 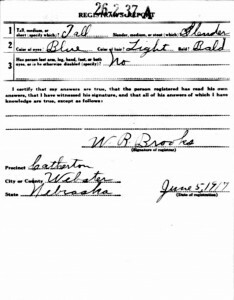 On March 9, 1891 Otto filed against Charles Peterson in the district court of Webster county for possession of the premises in dispute as well as $100 for lost profits and rent. The Nebraska Supreme Court affirmed the decision of the district court, which had ruled in favor of Skjelver. One interesting piece of information in the document states “The testimony develops that the S.E. 1/4 of 28, the Skjelver land, was first occupied by Hans Tullifson in 1872 or 1873, who abandoned it very soon, probably a month after settling on it. It was then occupied by one Cunnard, who in 1876, surrendered his claim to Skjelver”. I was unaware that this parcel of ground had ever been occupied by anyone other than the Skjelvers or their descendants. The Otto post office was established September 12, 1884, with Francis E. “Ed” Payne as postmaster. It too was named for Otto Skjelver. In 1890, William Brethour had the mail contract to carry mail from Inavale to Otto. The post office remained in the F.E. Payne residence in the NW 1/4 of section 34 until December 11, 1894, with Ed Payne’s sister Mary, (Mrs. A.A. Cooper) performing the duties of postmistress. 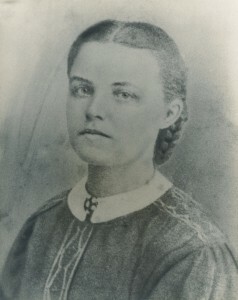 Ada Skjelver, daughter of Otto Skjelver, pointed out that the District 66 school teachers boarded with the Coopers – in the Ed Payne house – “so it was no trouble to get the young men to ride over there for the mail in the evening once or twice a week!” Anne E. Marker was the next postmistress until July 7, 1898 with the post office in the Alford Marker residence. The post office was then moved to the Eric J. Peterson farm, with Mr. Peterson as postmaster. The Otto post office remained at the Peterson farm until January 14, 1904, when the mail was sent to Inavale post office for distribution to the residents of southern Catherton precinct. The Otto post office was at the E.J. Peterson farm residence from July 7, 1898 to January 14, 1904, when the post office was closed and mail ordered distributed from Inavale. This event was commemorated by the mail patrons of the area who brought a basket dinner to the Peterson residence. Some thirty families were present who had taken their mail from the Otto post office regularly, and they presented the E.J. Peterson with a library table in appreciation of their service. 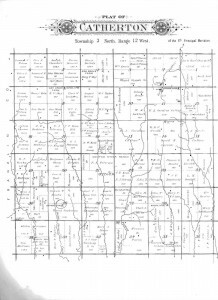 Here is a plat map of Catherton township from 1900. It shows the Otto Post Office located on E.J. Peterson’s ground, as mentioned in the article above. The Otto Post Office was originally located on the Payne homestead.